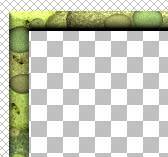 Today's exercise concentrates on using PSP's built in filters, selections and layers for creating some decorative and fancified borders for images. Part 1: Creating the test file and setting up and saving basic selections to the Alpha Channel. 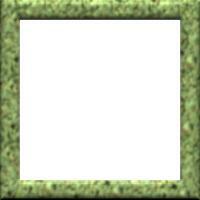 Make a new file 400 X 400 with a white background, 24 bit color. Set the foreground color to Pattern, by click the right facing arrow next to the foreground color swatch on the color palette in the styles area and set to Pattern. Click directly on the swatch to open the pattern dialog box. I picked Cracked Emerald by clicking the down facing arrow next to the preview thumbnail and locating it from the thumbnail fly out box. Keep the scale at 100 percent and the angle to 0. Press OK. 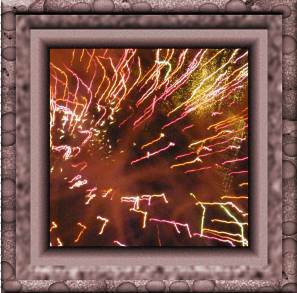 Select the whole image by going to Selections on the Menu Bar and picking Select All. Or alternatively press CTRL + A on the keyboard. Do a Selections > Modify > Contract from the Menu Bar . the pixels to 20 and press OK. Note the Marching Ants marquee has jumped towards the center 20 pixels equally on all sides. To speed things up later, save this selection to the Alpha Channel. On the Menu Bar do a Selections > Save to Alpha Channel. Make sure image you are working on, in this case Image 1 is showing in the Available Documents area and New Channel is showing in the Available Alpha Channel area. On the New Channel Box, Name the selection Inner Square and Press OK.
20 pixels all around the image. Save this selection to the Alpha Channel as well, Selections > Save to Alpha Channel from the Menu Bar. Ok on the first dialog box, then name the selection Border and Press OK.
Save this file in the PSP format, naming it something like BorderTest.psp. Edge 1: Escherlike Double Edge using Inner Bevel and Chisel. Chisel filter is not used very often but comes in handy when you do use it. :) Once you get a grip on it. 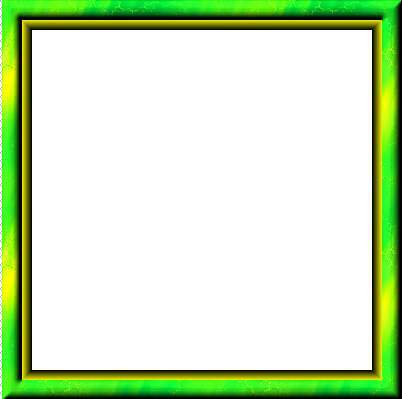 Leave the Border selection on the image, pick the fill tool, and with the Cracked Emerald Pattern set as the Foreground Color style, click inside the selection to fill it with color. Go to Effects> 3D Effects > Inner Bevel on the Menu Bar. On the Inner Bevel Box set the following. Bevel to the second one, rounded, from the first row. Press OK to add the Effect. Go to Selections on the Menu Bar picking Promote to Layer from the fly out box. 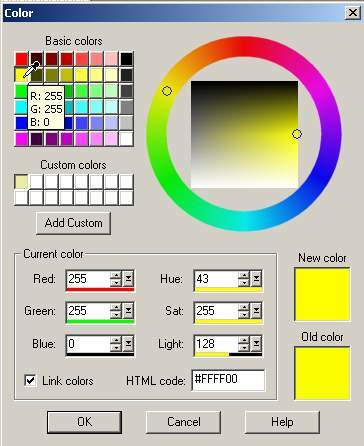 Set the background color at the very top above PSP's Color palette to a bright yellow. Click the right hand swatch and type in 255, 255, 0 in the RGB Color area and press OK.
Chisel works best on a layer. Leave the Selection on, and with the Promoted Selection active, go to Effects > 3D Effects > Chisel. Set the Chisel size to 10 and check the background color radio box. Press OK then Selections > Select None to remove the selection and see the border. Save this file now in PSP Format and minimize. Load the Border Selection from the Alpha Channel, by going to Selections > Load from Alpha Channel. Pick the Border and press OK.
arrow next to it and picking the second choice from the fly out box. Click on the swatch itself to access the gradient box. Click the down triangle next to the preview swatch and find Red Metallic from the gradient preview area. Set the style to linear, the Angle to 137 and the Repeats to 2. Use the Flood Fill tool and click inside the selection to fill the border with the gradient fill. Set the Background Color at the top of PSP to kind of a bricky pink. 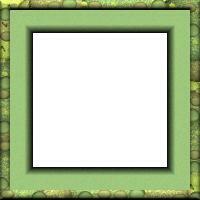 Click on the swatch and type in 205, 145, 130 in the RGB boxes and press OK.
Let's add some "metallic" to this border. 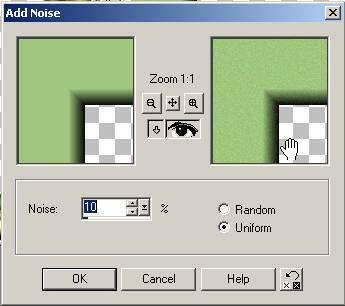 Go to Effects > Noise > Add Noise.. from the Menu Bar. On the Noise dialog box, set the Percent slider to 19 or so and check the Uniform radio box. Note the little dots in the border. 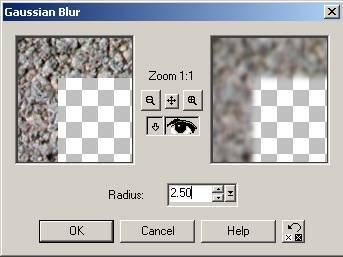 Next do an Effects > Blur > Motion blur from the Menu Bar and set the following on the Blur dialog box. Angle about 43 and Intensity 4. Now we have a brushed finish. Selections > Contract...and set to 5 pixels. Next Add the Chisel effect. 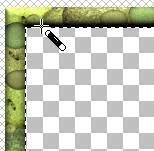 Go to Effects > 3D Effects > Chisel from the Menu Bar and set the Chisel to 10 and check the Background color. if you are Ram Challenged. Leave the BorderTest Image open because it has our selections in the Alpha channel. BTW, you can change the Color of the Frame by going to Colors > Colorize from the Menu Bar. Play with this on your own. 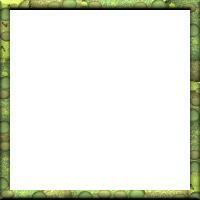 Create yet another new file 400 X 400 with Transparent background just the last one. Load the Border Selection from the Alpha channel from the Selections word on the Menu Bar. 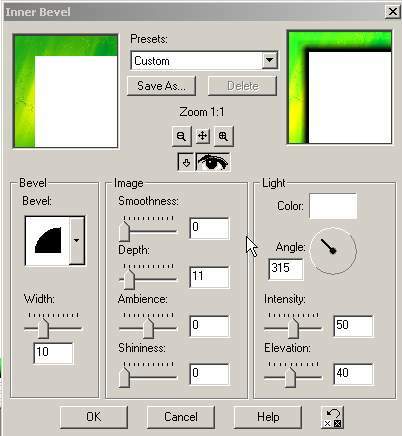 Activate the Picture Tube tool from the Tool Palette. I picked my River Rock tube. all the clear spaces with the tube. over the images already there. Just gives it some extra interest. On the layer palette, right click on the promoted selection layer and rename to Outside. Selections > Select None from the Menu Bar. The edge should look like mine color and bevel wise. On the Layer Palette, change to Layer 1. Pick the Magic Wand tool set to Match Mode RGB Value Tolerance 30, 0 Feather on the Tool Options Palette. Invert the Selection. Selections > Invert from the Menu Bar. 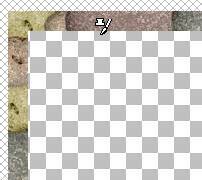 Set the Background Color to Pattern Fill, then select any pattern. I used one called Pavement at scaled down to 67 percent. 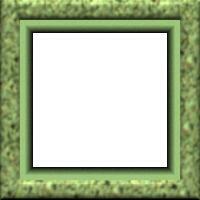 Set the Background Color at the top of PSP, not in the Styles area, to a medium green picked up from the image. Set the Foreground Color Style to Solid, but the color itself doesn't matter at this point. The color palette area should look like this. Pick the Flood Fill tool. 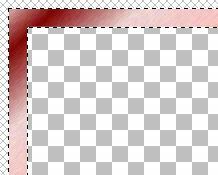 Click the Glasses icon next to the Outside layer on the layer palette to turn it off. colored area to fill it. on its name on the layer palette. Do a Selections > Select None from the Layer Palette. Make sure the Middle layer is highlighted on the layer palette. Effects > 3D Effects > Inner Bevel..
Press OK and inspect the finished layer. Click the Glasses Icon next to the Outside layer turning it on. The image should look like this. On the Layer palette, highlight layer one, making it the active layer. 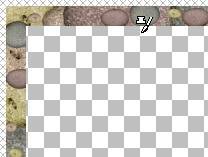 Turn off the visibility on the Middle and Outside layer by clicking the glasses icons next to their layers. mode and tolerance 30. Feather 0.
transparent area to select it. Do a Selections > Modify >Contract... 10 pixels. Selections > Invert from the Menu Bar. On Top of the Color Palette, click the two headed arrow between the background and foreground colors, switching the green we picked earlier to the foreground color. on the Foreground Style swatch, if you set that to solid before. to clear the current pattern. 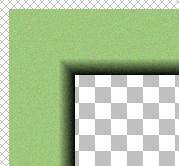 Click the arrow between the foreground and background colors on the top of PSP Color palette, putting the green as the background. Go to Effects > 3D Effects > Chisel. Set the Dialog box as follows. Check the Background color radio box. Set the percent slider to 10 and check the Uniform radio button. Actually we have several variations we can use here. Try using each layer individually, then just middle and outside then outside and layer one, then middle and layer one. Cool eh? See Below for 6 other variations. all the layers are turned on. from the fly out box. 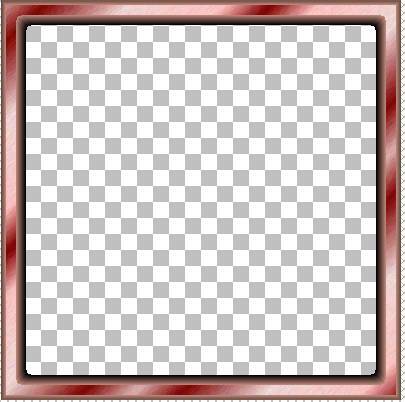 One merged layer with a transparent middle comprises the image. On the Save Copy As dialog box, browse to the Paint Shop Pro 7 Folder on the hard drive, then pick the Frames Folder. Name the file and add the pfr extension. In Save as type, make sure the Paint Shop Pro image (psp jsl pfr tub) is showing, or select it from the drop down box. Then press the save button! 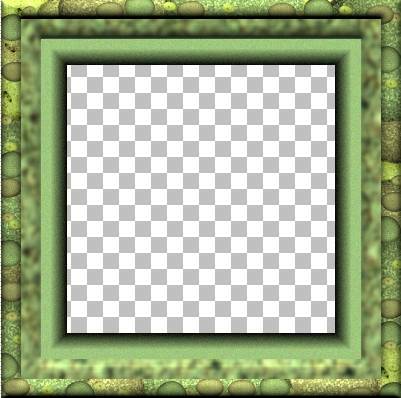 On the original BorderTest Image, to prepare it for framing, remove the selection from the image. 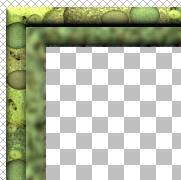 Right click and delete the background layer on the layer palette. Do a Save a Copy as just like before. 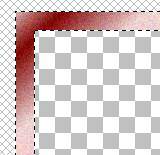 On the Red Metallic, reopen if closed, merge the visible layers and Save a Copy as to add to your Frames folder. 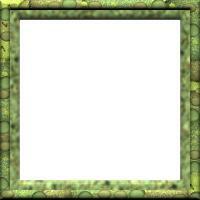 Try out the frames on an image. 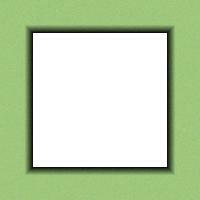 open or make a square image. menu bar and follow the instructions. I put on the Rolling Stone frame then did a Colors > Colorize from the Menu Bar to match the frame to the image better.